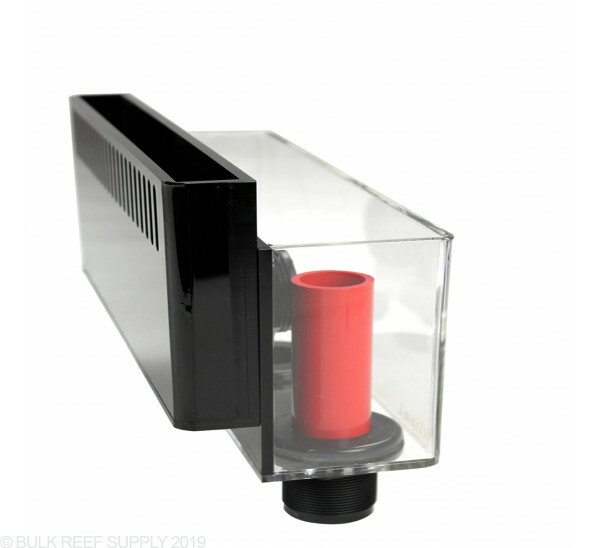 The Eclipse aquarium overflow system consists of a slim black box that is mounted inside of your tank and a clear external box that mounts outside of your tank, to transport water down to your sump with as little noise generated as possible. The DIY project only takes a few minutes to complete and compared to HOB style overflows, the Eclipse has a fail-safe design that includes three drain bulkheads for a Herbie or Bean Animal method of plumbing. 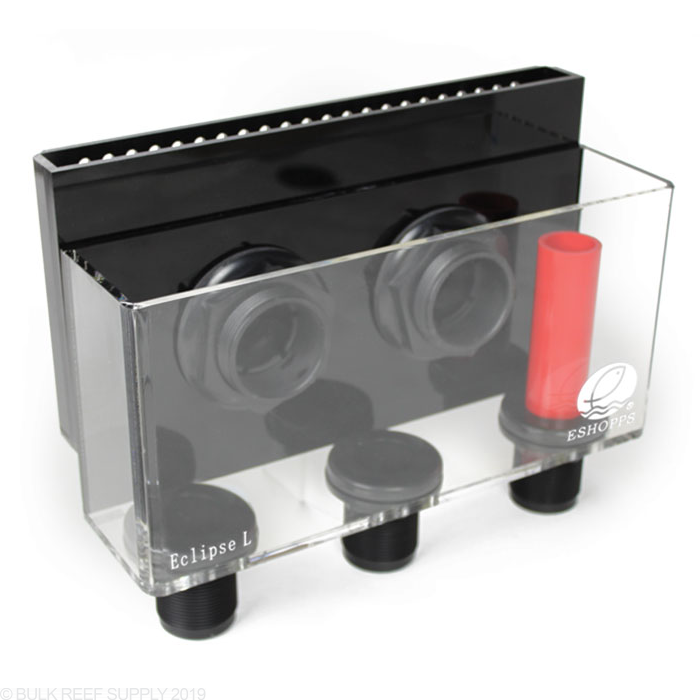 The internal/external design for the Eshopps Eclipse Overflow Boxes creates a minimalistic design inside the aquarium, extending less than 1.25" inside the aquarium. Water can flow through the 1/4" teeth in the wet-side of the overflow, and then through the included bulkhead into the external box that holds additional bulkheads to let the water drain down into the sump. It is required to drill your aquarium with the Eclipse overflow but drilling is fairly simple and with the included glass drill bit and drill guide. The guide helps you set the perfect water level for your aquarium and then lets you know exactly where to drill your hole(s). Selecting the right overflow for your tank can be confusing but it is a pretty simple formula, just take the total flow produced by your return pump and select an overflow that can handle that overall flow rate, and still be able to fit inside of your aquarium. In most cases, we will recommend using an overflow that is +1 sized for your application. That lets you upgrade to a larger pump or tank in the future, with an added safety benefit of being able to handle additional flow if one drain gets clogged or restricted. 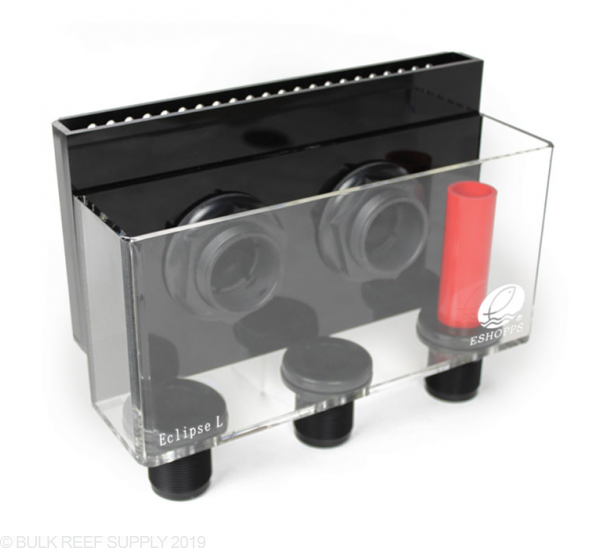 Installation Tip - When installing the bulkhead gaskets we highly suggest placing one between the inner overflow box and the aquarium. The other gasket should be placed between the external box and the bulkhead nut. Total Dimensions - 12" L x 3" D x 6"
Internal Dimensions - 12" x 1.25" x 6"
The instructions are lack luster but common sense will go a long way. The only fault I had with mine was the internal box leaked on the bottom, meaning if I shut my return off to clean or maintain something the tank would drain far too much and the sump would overflow. A little silicone fixed this though. Glad I tested it before setting the tank up. 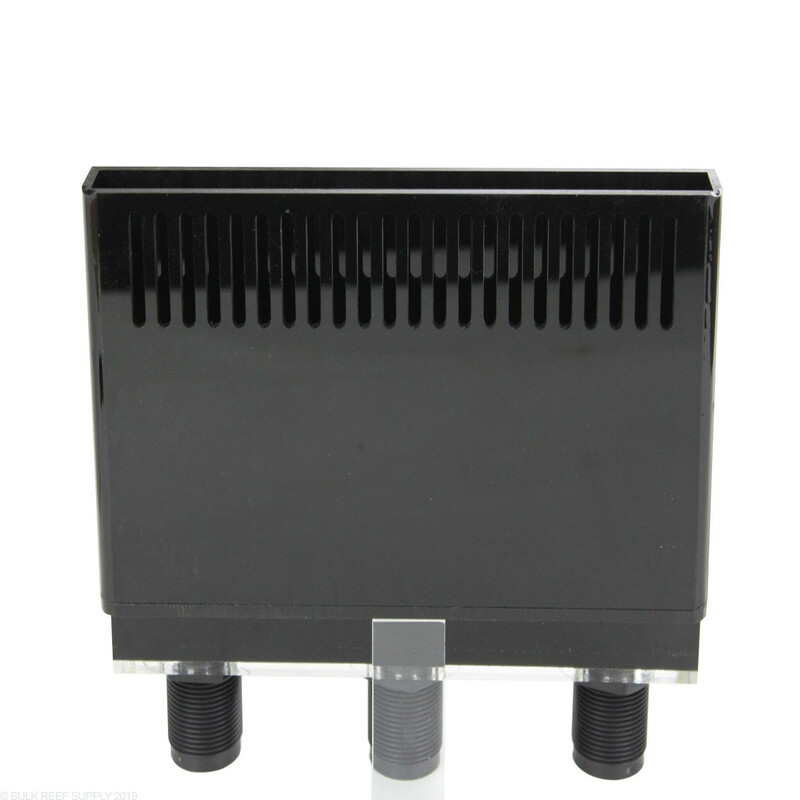 I PURCHASED THIS OVERFLOW BOX WORKS GREAT LOVE THE QUALITY. ABSOLUTEY NO PROBLEM WITH LEAKS INSTALL THE GASKETS IN THE CORRECT LOCATION AND A LITTLE BIT OF SILICONE GREASE. WORKS LIKE A CHAMP. ANOTHER THING, I LIKE ABOUT THIS OVERFLOW BOX IS THE REPLACABLE BULK HEADS THAT DRAIN TO THE SUMP. YOU CHANGE TANKS NO PROBLEM. JUST REPLACE THE BULK HEADS. THE BULKHEADS THAT GO THROUGH THE TANK ARE NOT REPLACEABLE BUT THERE SHOULD BE NO REASON YOU SHOULD HAVE TO REPLACE THESE. FOR THE MONEY YOU CAN'T BEAT IT. I bought this and the build quality is awesome it also comes with everything you need to drill your tank and get it going. HOWEVER, either replace the provided gaskets with higher quality ones or use a silicone lubricant on the gaskets, because this thing LEAKS. I checked, and double checked the gaskets are on the flange side, the surface was cleaned. The gaskets have no deformities or bends. Even though it's very sleek and sturdy, for that reason I absolutely will not purchase an eshopps overflow again. High quality, comes with all you need to install. Only complaint is the instructions should have more detail for water level height and the guide for drilling interferes with the tank trim. Still setting up my tank so no input on flow or leaks yet. I ordered the L to set up a bean animal drain. I had this on my 120G for more than a year. I got the L model so I can modify the 3 draining to Bean Animal. Great quality and whisper quiet. The large eshopps overflow picture shows 2 1.5" bulkhead, but the product list says only 1x 1.5" bulkhead..
Can you confirm whether there is one or 2 please? That should be 2x 1.5" transfer bulkheads. Have a great day! Can I use it on tank with rim? 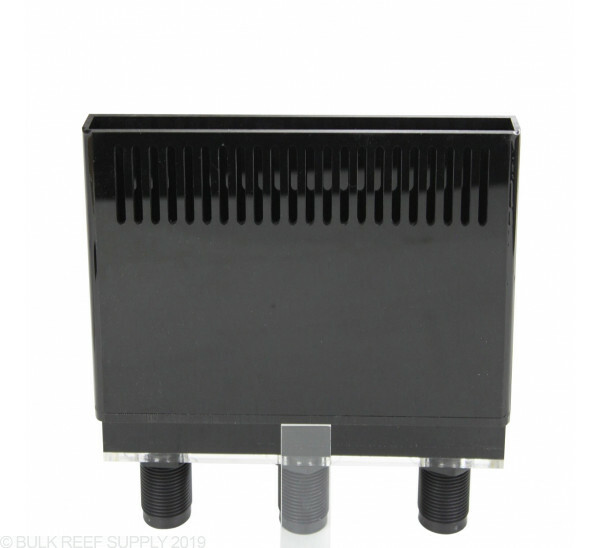 The Eclipse overflows can be used on both rimmed and rimless aquariums. Have a great day!